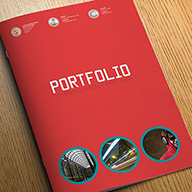 Exo Portfolio Template is a high quality A4 brochure, flexible enough to be used as a photo album, design portfolio or product catalog. 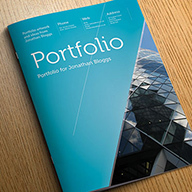 An elegant and modern portfolio design provides an excellent space to highlight your artwork or products. This template is print ready and easy to use, mix and match page layouts and design elements, or simply insert your own portfolio pictures and text.